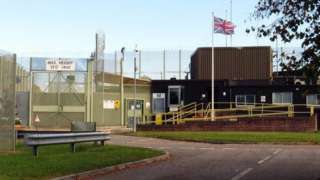 A report says foreign prisoners have been sent back to their home countries with 'no assistance'. Westgate Oxford: What do shoppers think? Westgate Oxford has opened its doors to shoppers today. The new £440m shopping centre has taken more than two years to build and follows two previous plans to rebuild the site which failed to come to fruition. So has it proved to be worth the wait? M27 Hampshire westbound severe accident, at J5 for A335 Wide Lane. M27 Hampshire - One lane closed and very slow traffic on M27 westbound at J5, A335 (Southampton Airport), because of an accident involving two cars. The aircraft carrier HMS Queen Elizabeth is waiting "to ensure a safe exit" from Portsmouth. A school for young autistic people is opening a bakery as a commercial venture. Prior's Court, in Thatcham, Berkshire, is gathering its workforce from among their students to enable the budding bakers to experience fulfilling work. Video caption: A school for children with autism is opening a bakery staffed by students.A school for children with autism is opening a bakery staffed by students. A homeless man who broke into and stole items from a Slough home has been sentenced to three years in prison. Colin Kennedy, 40, stole electrical items from a property in Sherbourne Close, Colnbrook, by forcing the front door open. Mr Kennedy pleaded guilty to one count of burglary of a dwelling at Reading Crown Court and was sentenced yesterday. Investigating officer Detective Constable James Rex, from Thames Valley Police, said: "I hope that during his time in prison [Kennedy] has time to reflect on his offence and seeks the help that he needs". A project to trial driverless cars at test areas in Oxfordshire which mimic city roads has received government backing. Remote Applications in Challenging Environments (RACE) at Cultham Science Centre is to get £6.9m from the Department of Transport. The £10m project is designed to test automated vehicles before they are taken onto public roads. An MP's letter asking for universities to name professors who teach Brexit courses has branded as "idiotic" by the chancellor of Oxford University. Lord Pattern, who is also a Conservative party peer, said the letter - which also asked about the content of lectures on Brexit - was "an extraordinary example of outrageous and foolish behaviour". It was written by Chris Heaton-Harris, who responded by saying he believed in "open" debate on Brexit. Downing Street said he had written to universities in his capacity as an MP and not as a representative of government. Large parts of Bournemouth's defunct £3.2m artificial surf reef have washed up in the wake of Storm Brian. The debris from the structure, built in the sea east of Boscombe Pier, has washed up at Boscombe, Bournemouth Borough Council said. The reef, made of 55 giant sandbags, opened in 2009 after lengthy delays but closed two years later when it was damaged by a boat's propeller. The council said the reef material would be cleared during beach cleaning. Flights between Southampton Airport and Menorca will be introduced next year. They start running on 26 May and will continue until 8 September. The new service will be operated by airline TUI. The Oxford Botanic Garden has a giant flower on display until Monday. Rafflesia measures 1.5m across, but because it cannot grow outside its native rainforest in south-east Asia, the version you can see is a a life size "3D oil painting". "The piece was produced by Chris Thorogood, our head of science & public engagement here at the garden," its website explains. "Because the plant is not yet in cultivation, and because it is so rare in the wild, this 3D replica is the closest most of us can get to seeing this enigmatic botanical giant." The Royal Navy's new £3bn aircraft carrier has been forced to postpone her first departure from Portsmouth because of bad weather. HMS Queen Elizabeth was set to leave earlier today for her second set of seat trials. But the 65,000 tonne vessel delayed her exit because of weather conditions. 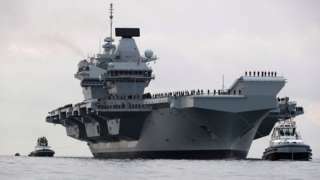 "She will sail from Portsmouth when we can ensure a safe exit", a spokeswomen for the Aircraft Carrier Alliance said. The future of a helicopter simulation centre in Oxfordshire has been secured with a £90m investment from the Ministry of Defence. The facility at RAF Benson has seven simulators allowing pilots to practise scenarios like flying under enemy fire without leaving the ground. The money will be used to extend a contract with CAE Aircrew Training Services, the company which provides the training. Russ Cole from the Ministry of Defence said training in simulators was a tenth of the cost of training in live aircraft. Organisers promise an "amazing experience" for participants running through woodland in the dark. The coroner for Dorset is hoping to trace the next-of-kin of a 61-year-old man who died at his home in Bournemouth earlier this month. Dorset Police said the death of David William King was not being treated as suspicious, but no relatives or friends had been traced. 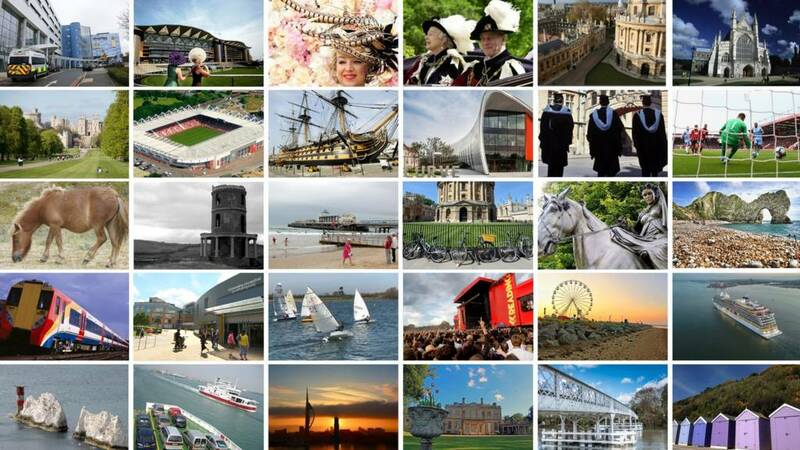 "It is believed he worked as a support officer in the financial services department of Bournemouth Borough Council and started employment with the local authority in 1972", a spokesman said. Anyone with information is asked to call the coroner's office. 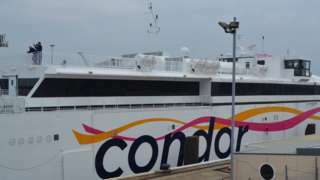 Condor Liberation out of action for two weeks after jet propulsion engine faults. Shops in Dorchester town centre have been closed following a power cut. More than 1,200 properties have been affected by the outage which SSE now says will be restored by 15:00. Drivers on Southern Railway are to start voting on whether to accept a proposed deal to end their dispute. Ballot papers are being sent to members of the train drivers' union Aslef, with a recommendation to accept after drivers rejected two previous attempts to reach an agreement. The proposal is for a 28% pay rise and an agreement that trains will have a second, safety-trained person on board, apart from "exceptional circumstances". The ballot result will be announced on 8 November. The Rail, Maritime and Transport union (RMT) remains in dispute with Southern over the role of guards. M4 Wiltshire eastbound severe disruption, between J15 for A346 Marlborough Road and J14 for A338. M4 Wiltshire - One lane closed on M4 eastbound between J15, A346 (Swindon East) and J14, A338 (Hungerford), because of a lorry having a tyre changed. Traffic is coping well. M4 Berkshire westbound severe accident, between J5 for A4 and J6 for A355 Slough affecting J4B for M25. M4 Berkshire - Queuing traffic and two lanes closed on M4 westbound between J5, A4 (Langley) and J6, A355 (Slough), because of a multi-vehicle accident. Congestion to J4b M25.